Between five and 15 centimetres of snow and ice pellets are expected to accumulate in some areas, along with ice buildup from freezing rain. The wind could make the messy weather even more hazardous. “Strong and gusty easterly winds may cause low visibility in blowing snow before the snow changes over to freezing precipitation,” Environment Canada said. The statement warned that the storm could have “a significant impact” on travel in the region. The expected storm Tuesday comes as the city sees a few days of relatively warmer weather. 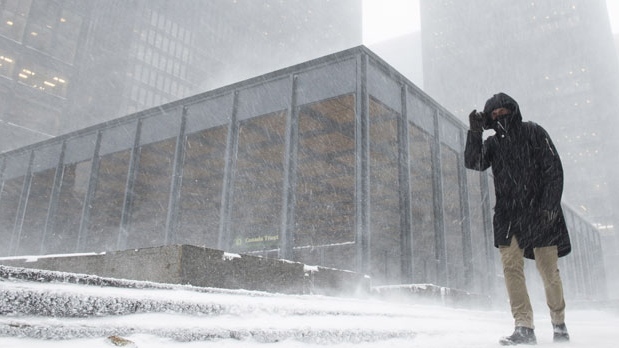 A high of – 4 C was expected in Toronto Sunday. The warmer weather was enough to prompt the city to end an extreme cold weather alert which had been in place. Tuesday will see a high of -2 C, though the wind chill will make it feel closer to -12. 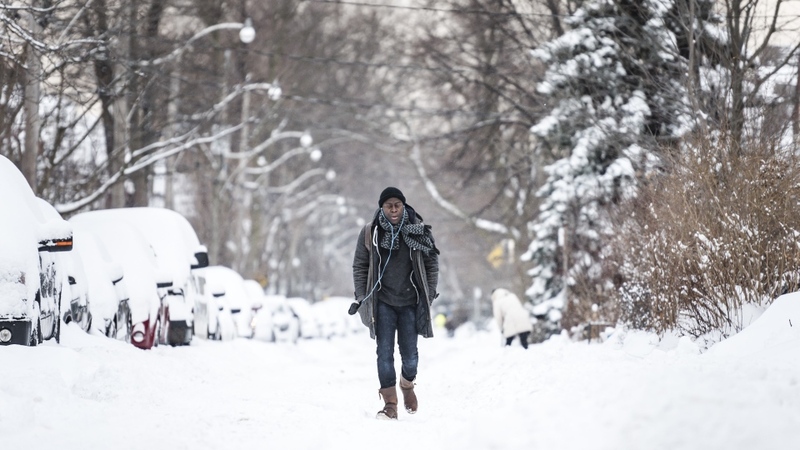 On Tuesday, the city is expected to see a high of -1 C.